Topaz Labs, the makers of many Photoshop plugins and photo editing applications, have been on a roll recently. After releasing two AI powered applications, The JPEG to RAW AI and the AI Gigapixels (which both gave very impressive results), they are releasing a new AI powered application today. The Topaz Sharpener AI. And I think you can deduce what it does from the name. I got to it a bit before today’s release, so I will share my thoughts about it with you today. As usually, Topaz is also offering an introductory price, same as with other of their products. So from today, the 28th February, until the 15th of March, the price is 20USD off. 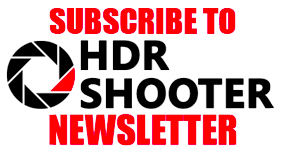 Head over to the Topaz Labs website to check out more. There is also a trial version available. 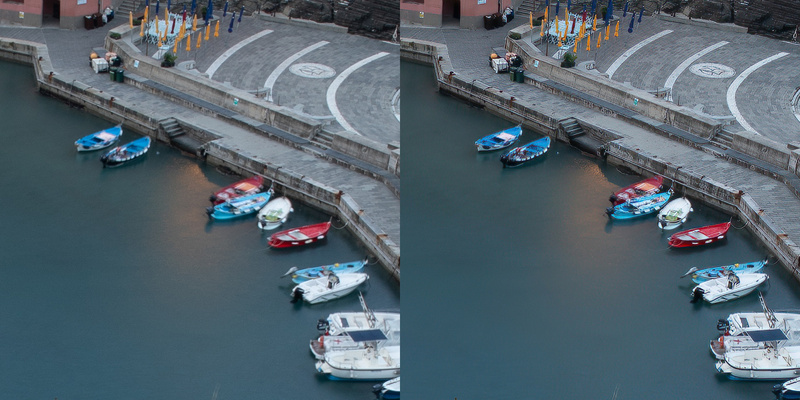 While the interface of the Topaz Sharpener AI is very similar to their other AI applications, it provides more options this time. You have three processing modes to chose from here. Sharpen, stabilize and focus. Sharpen tries to distinguish between noise and objects and sharpen only what needs to be sharp. Stabilize will try and remove the motion blur in your photos. Lastly, focus will try to sharpen areas that are out of focus. Let’s have a look at each one here. In all examples, the original is on the left. Sharpening is something you have to do on every photo. The results here are quite good, if maybe a bit too strong even on the default settings. It adds a lot of detail and definition. You can see it very nicely here on this mountain area. Or on this city photo. I would say the whole shot has more of overall clarity and detail. Strangely, I noticed one problem. 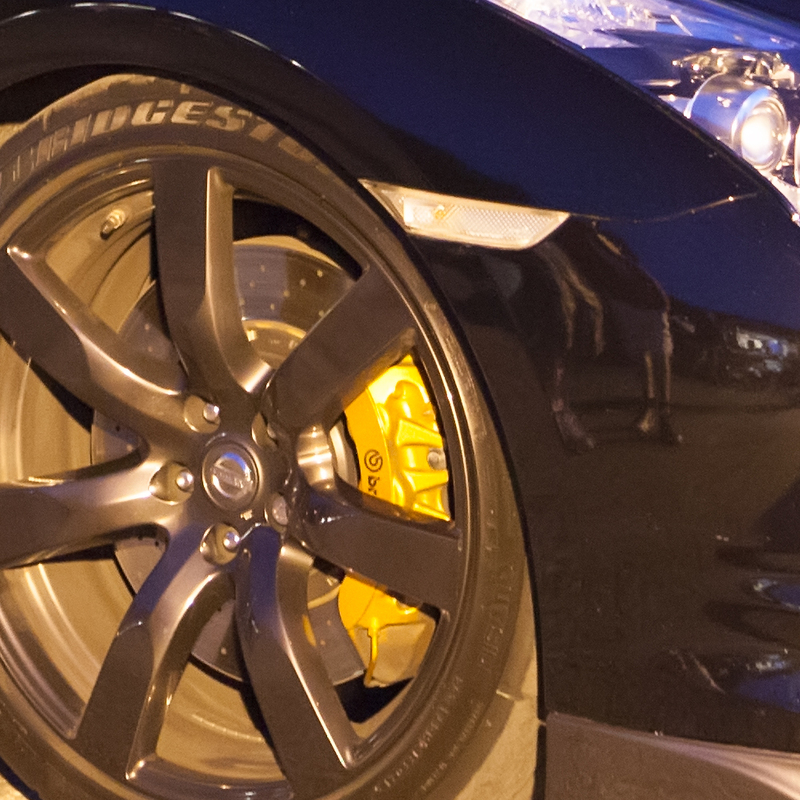 The sharpened version sometimes has less detail in the shadows, that the original photo. It’s like the algorithm just missed the area and just filled it with black. 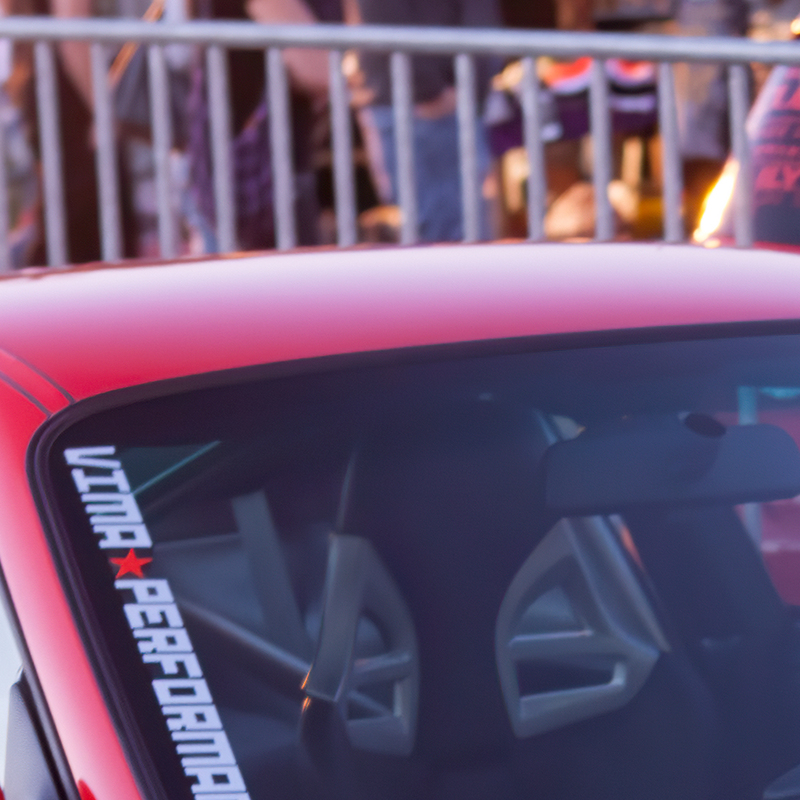 The Stabilizer processing mode should remove motion blur from the photo. As it often happens that something moves in a shot, this can really be helpful. So I gave it a try on some blurry foliage and boats. On the foliage, it’s a bit all over the place. Some are almost perfectly defined and sharp. Some look like they weren’t changed at all. Same on the boats. Probably it depends a lot on how much movement there is. Just look at the two red boats here. one one god it got rid of almost all the movement. Not so much on the other one. Still, the result looks better than the source in both cases. 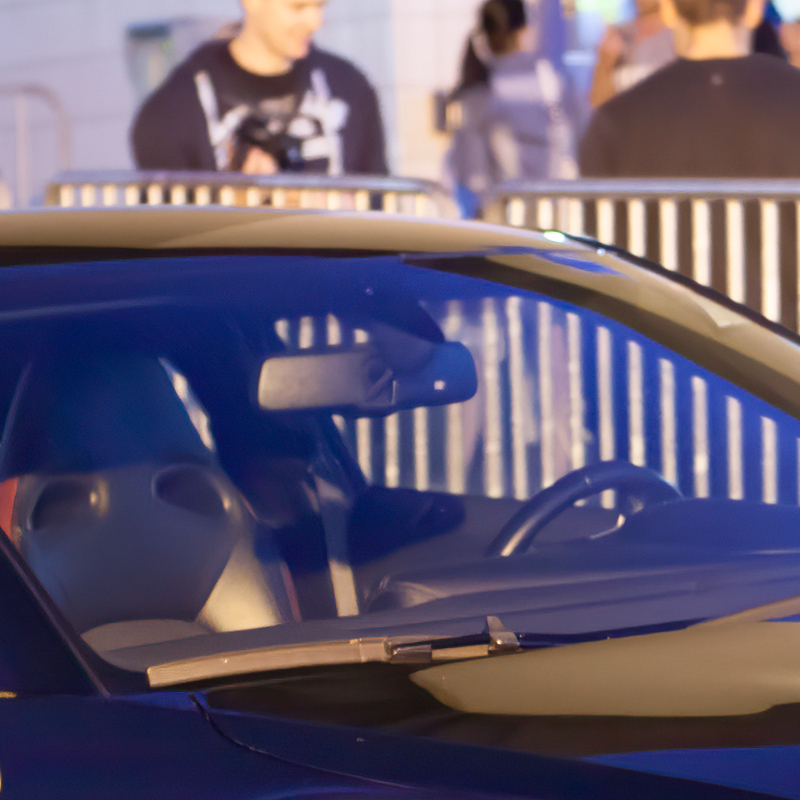 The Focus processing mode should sharpen out of focus areas. While this is generally not possible, there is a small range around the sharp area, where this should work. For my example here, I tried it with one handheld shot image. 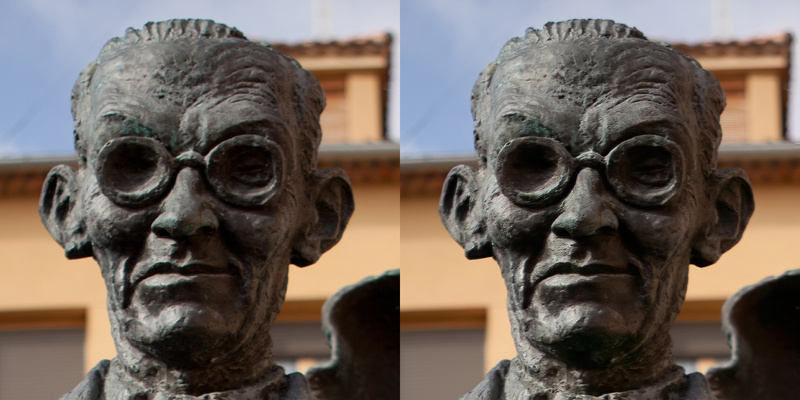 While the main subject, the statue, is generally in focus, few areas like the head are a bit out of focus. So let’s have a look what it can do here. The results on the statues face are quite nice. Overall it’s more in focus and sharper. It created a bit of artifacts, probably from the texture of the statue, but it still looks fine. Interestingly, this is what it did with a tower in the background of the statue. Compared to how out of focus it was, it really added some impressive detail. There is one problem though. I’m not sure if the algorithm splits the image into a grid, but there are many spots where you can see strange effect like this one. It started creating detail in the window and stopped. It sharpened part of the wall, and then stopped. This makes for a very uneven result. Overall, my impression here is a bit mixed. While some of the results are impressive, some problems are not. Still, using this on parts of a photo, not on one as a whole, can result in a better finished image. I mean, using it for instance to stabilize some moving foliage and blending it into the photo and similar. It’s possible that some of the issues I found were caused by the pre-release version so you can give the final version a try yourself. Just go here and get the trial version now. For a while now I needed a new tripod. Recently I have been using a quite horrible one I bought last year in Dubai. I bought it just because during my trip there the airline lost my luggage and my Gitzo tripod was gone. And now one of the feet locks broke on it so I needed a new one. But I learned one thing from having a cheap tripod the last year. I don’t need a pricey one. For what I need, the difference is not that big. I never shoot in very strong winds and I never use very long lenses. And with a wide angle lens, even a cheaper tripod is stable enough. And if it gets lost again, it will not be such a big problem. So I thought I give a try with a Chinese brand for a change. I been using few other things from Chinese manufacturers recently, and the quality was really good (I really like Xiaomi products :)), so I though I give one a chance. 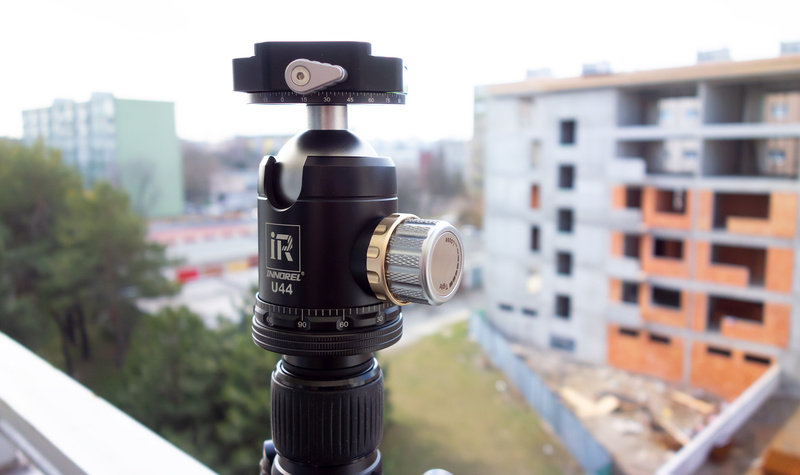 After searching for a bit, I decided for the INNOREL RT85C tripod. The few reviews I could find were very positive and for the price it was a steal. If it was as described, it would be great. How much I payed? I did not take only the tripod. The pack I took was the Innorel RT85C tripod + Innorel U44 ball head + Innorel PW50 monopod base/table tripod + Innorel ZH3 Z pan tripod head. I took so many things, as due to promotions they offered, it was cheaper than just taking the tripod with the head. After all the discounts and bundle promotions, I ended up paying only 224 USD for the lot. The tripod and the ball head arrived on Monday, so let’s look at those now. 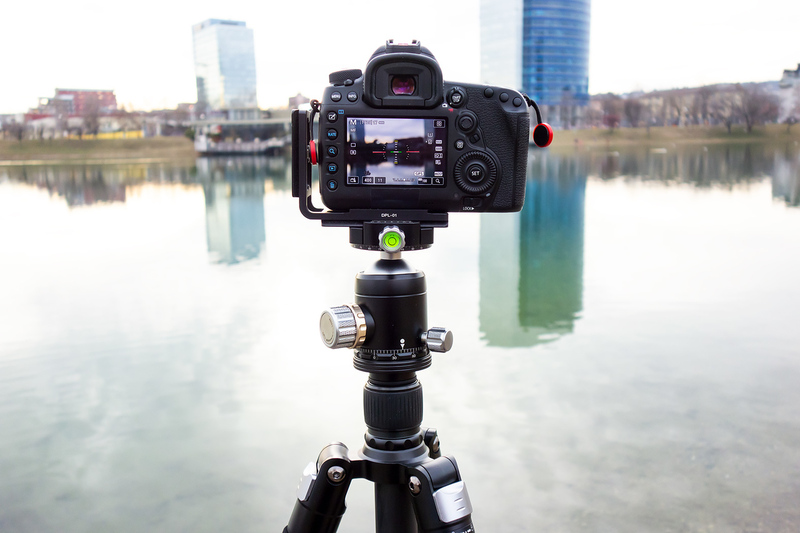 The RT85C is the second biggest tripod offered from Innorel. It’s a 4 section tripod that goes up to 187cm with the ball head attached. On the other side it can be closed down to only 50cm in length. That all is quite great. 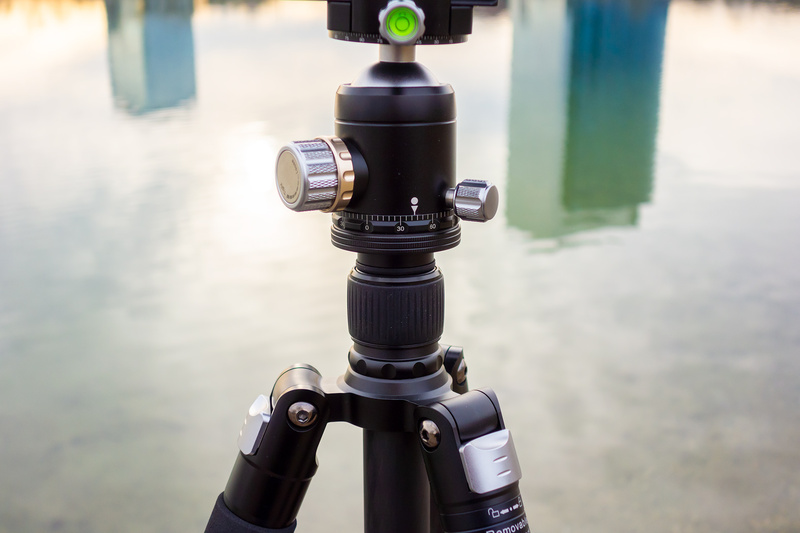 One needs a tripod that can go up to the eye level, and this one can do that easily for me. One leg can be detached and used as a mono-pod. You can even switch the attachment screw from 3/8″ to 1/4″ screw. There were even extra steel nails replacements for the rubber feet. In the package they also provide a carrying bag and the hex keys needed to for all the screws on it. It’s made from carbon and aluminium, with few rubber parts. There is no plastic on the outside, but I presume the leg locks are plastic on the inside. Not sure if that can be done from a different material at all. It’s relatively light at 1.88kg and feels really sturdy. The leg tubes go up to a 32mm diameter, so that also makes it quite massive. The declared max load is a whopping 25kg. After two days, I’m quite impressed. I would not say it’s on the level of the Gitzo I had, but being only 1/4th of the price, it’s not really that far. The height is great. Without the middle column it’s at my eye level. It’s a bit stiff, but it’s new, so no suprise there. 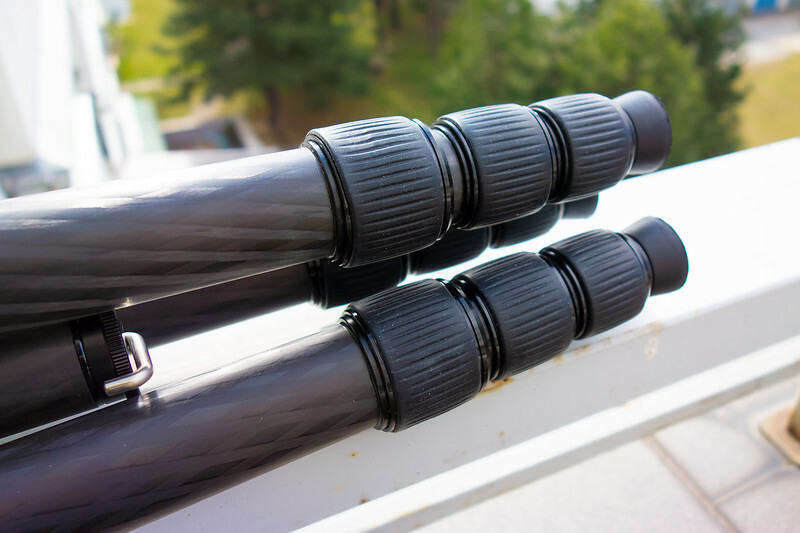 The locking on the legs and the middle column feels solid and the whole tripod stands really sturdy. I’m not a huge fan of the spring loaded locks that lock the legs in position. I prefer the pull out style that is on Gitzo and similar brands. Still they work fine, even if it’s a bit harder to use them. The middle column can be taken out, but I have yet to find a way to attach the ball head when it’s not there. I contacted the manufacturer to ask about that, so waiting for an answer. Also I do’t really like the style of the hook at the bottom of the middle column. It stands too much to the side. You can remove it, but that you end up with a hole on the bottom. 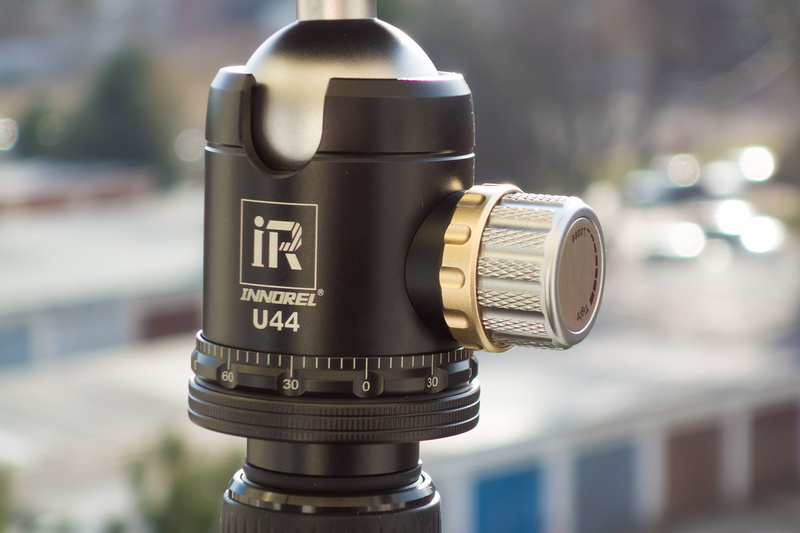 The ball head that came with this tripod was the U44. It’s a 44 mm ball head and it looks really nice. Completely made from aluminium in black and silver. It has 4 bubble levels on it, which is a bit of a overkill (I always use the in camera one as you don’t see these in the dark). 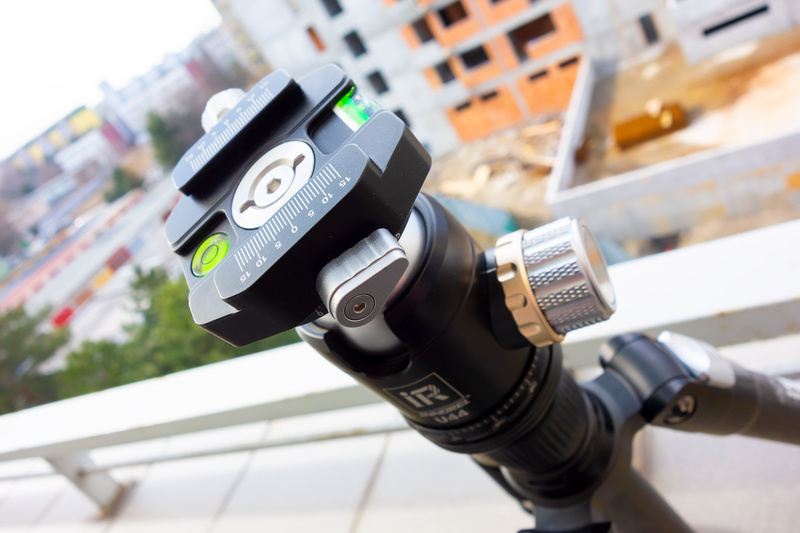 It has double panoramic rotation, which is great and makes for easier panoramic shots. The release is arca swiss compatible, and I would not take a different one anyway. It feel solid. All rotates nice and firmly, and holds steady once locked down. Still need to try it out with a longer lens, to see if there is any give once there is weight on it. 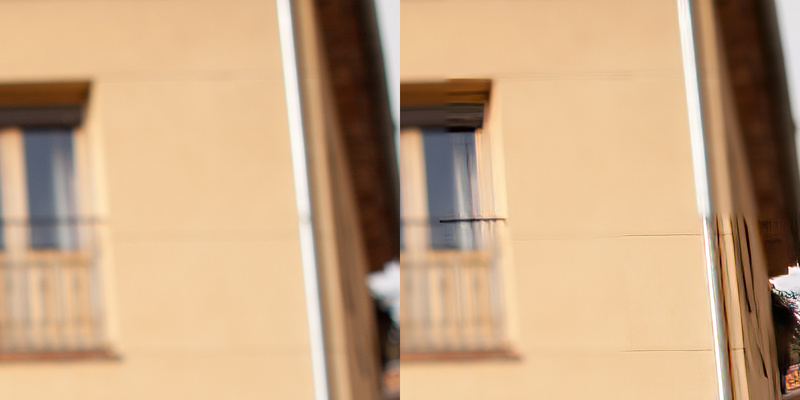 One has to take care when locking the top panoramic rotation, as the difference between locked and unlocked is quite small. Overall, I’m pleasantly surprised. The big question is how well it stands over time, but right now I got much more than I expected for the price. 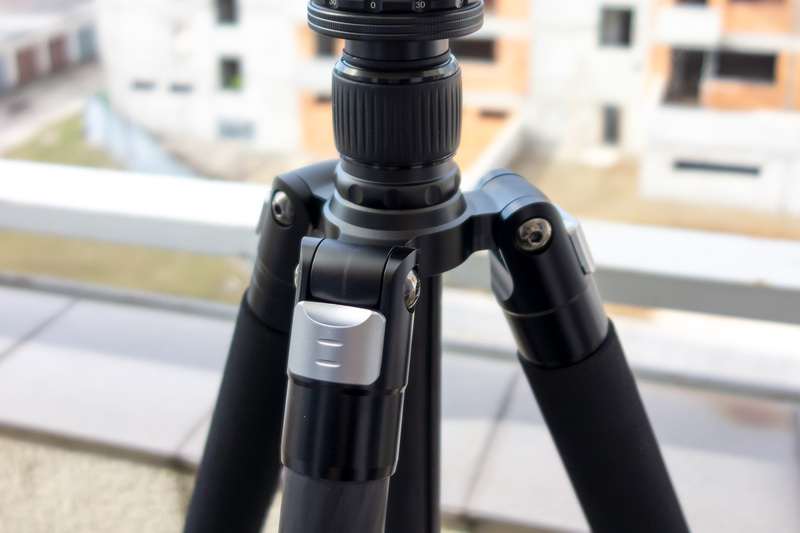 I will be using this tripod from now on, so I will do an update in a month or two, to show how it goes. Also, once I get the rest of the delivery, I will make a post about those too. 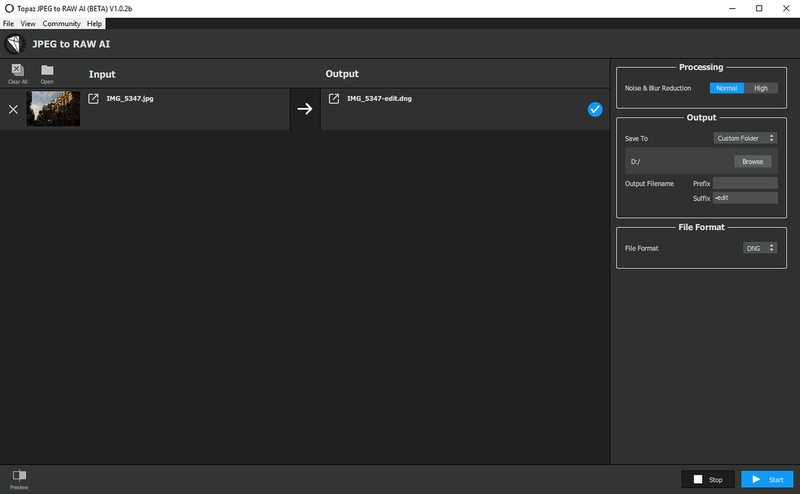 So after doing my first impressions article on the Topaz JPEG to RAW AI application two days ago, I thought I have a look at the second AI powered program from Topaz labs. The Topaz A.I. Gigapixel. You can guess what it does based on the name, but if you did not, it is to resize your photos into much bigger ones. Again, as with the JPEG to RAW AI, the interface is very simple. 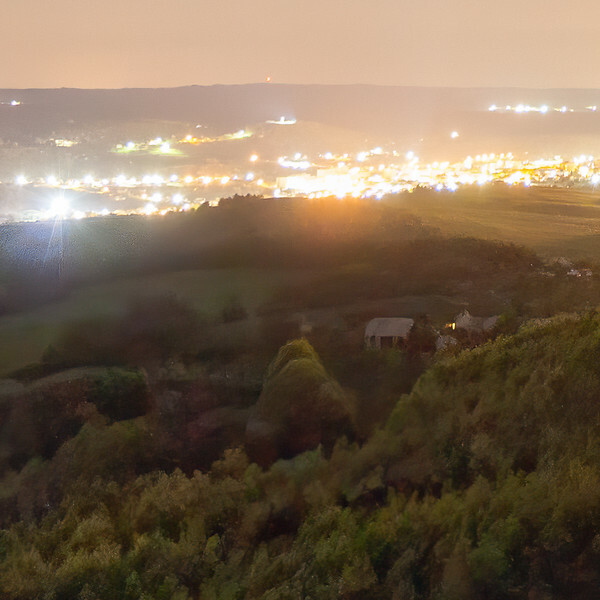 You just load the image, set the scale, noise reduction and output format. Then it takes few minutes to create your result (of course based on the size of the photo, size of the result and the power of your PC). 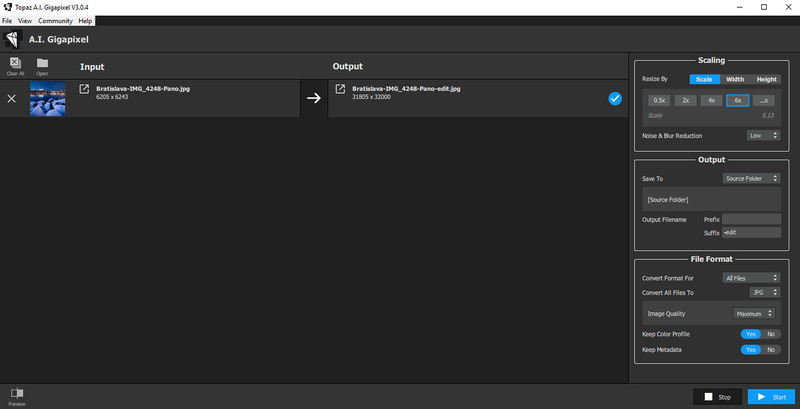 Converting a 36Mpix JPG into a 1Gigapixel took around 5 minutes for me. Since there is not much to talk about workflow, let’s directly look at some result examples. 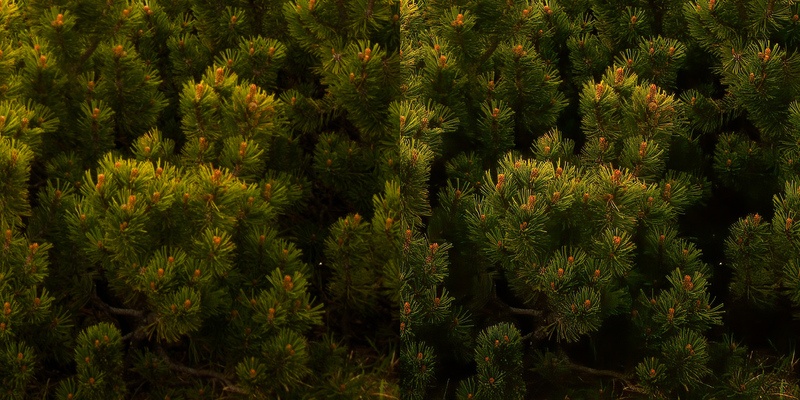 In all cases, on the left is a version resized to the same size using the automatic resample in Photoshop. On the right is the Topaz A.I. Gigapixel result. All the examples are quite big, as the difference is better visible then. 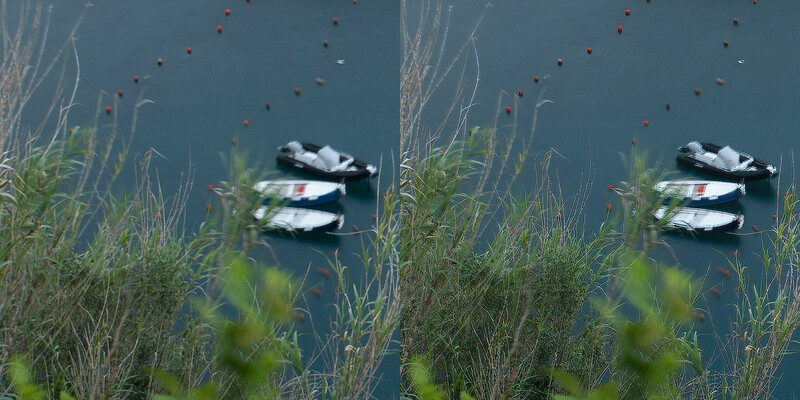 So first, just to illustrate the difference in size, here is a 100% zoom on a 36Mpix photo, and a 100% zoom after it was resized to 1 Gigapixel. The scale was set to 6x for this one, and yes, the difference is huge. Now let’s see the detail comparison. 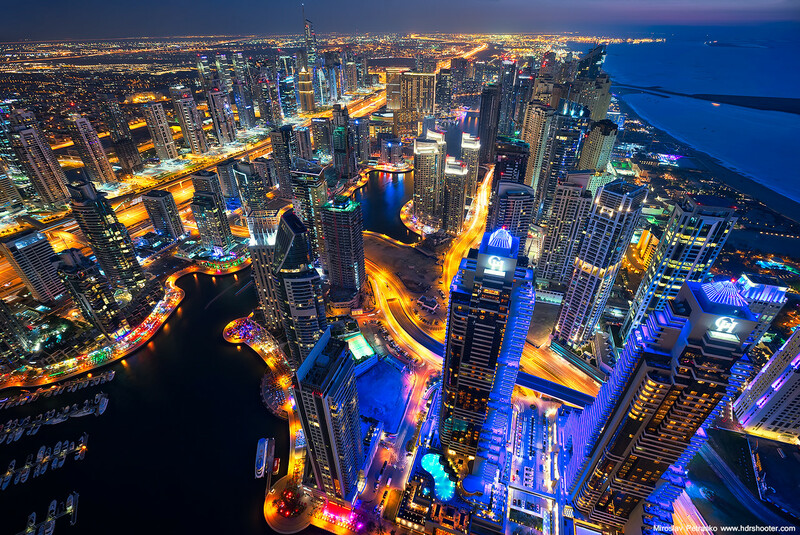 Here is a 22Mpix (19Mb JPG) photo from Dubai. After the 6x resize, it became a 684Mpix photo (551Mb JPG). So let’s zoom into the area in the center. First, this is a 50% zoom. And here is a 100% zoom to the same spot. You can see, the A.I. 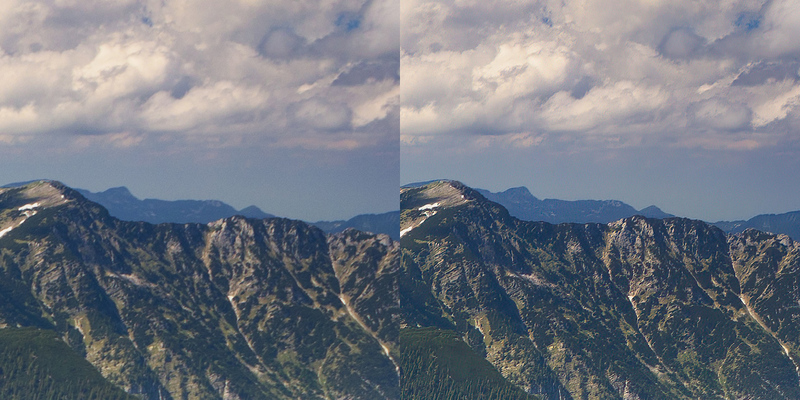 Gigapixel result has much more clarity. The machine learning algorithm really selects out the edges, and ads detail when it finds them. So the result is much more detailed, even if fully zoomed in you can see some edge artifacts. Let’s look at another photo from Bratislava. This was a 36Mpix photo (27Mb JPG) resized with the 6x scale to 1Gigapixel (783Mb JPG). Again, first, here is a 50% zoom. And here is a 100% zoom. As you can see, A.I. Gigapixel did really nice work here, with cleaning up the sky, and defining the church outline. It’s a bit worse on the trees, but there of course it has less to work with. Overall, it did quite a good job. If I would need to print something much bigger than it is, I would used this. 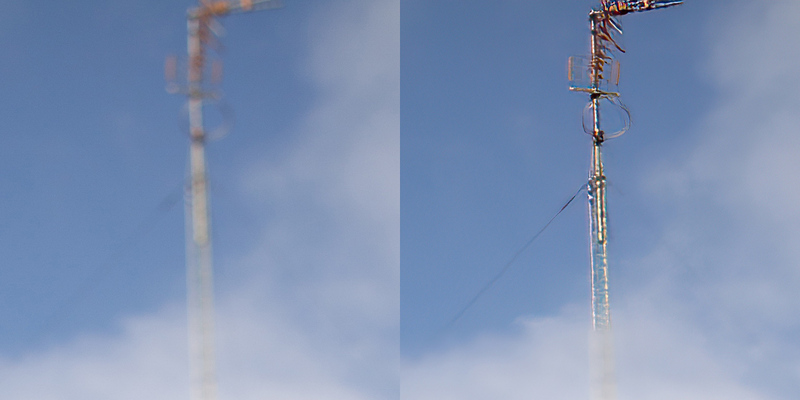 The clarity it gives to the photo looks better than a straight up upscaled image. There is a 30 day trial available on the Topaz labs website, so you can get it now and give a try. You probably already heard of Topaz Labs. 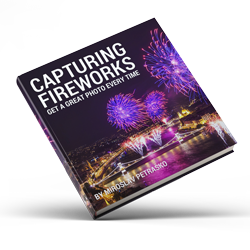 The are the creators of many different photo editing software and Photoshop plugins. And today they have a new one. 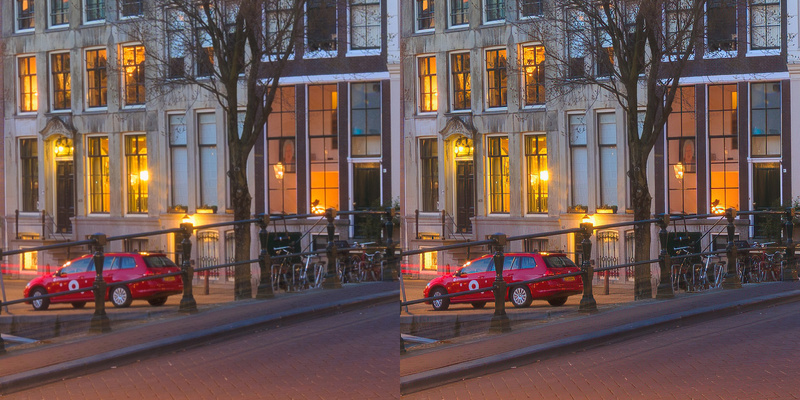 The Topaz JPEG to RAW AI allows you to take a JPEG and convert it into a RAW. 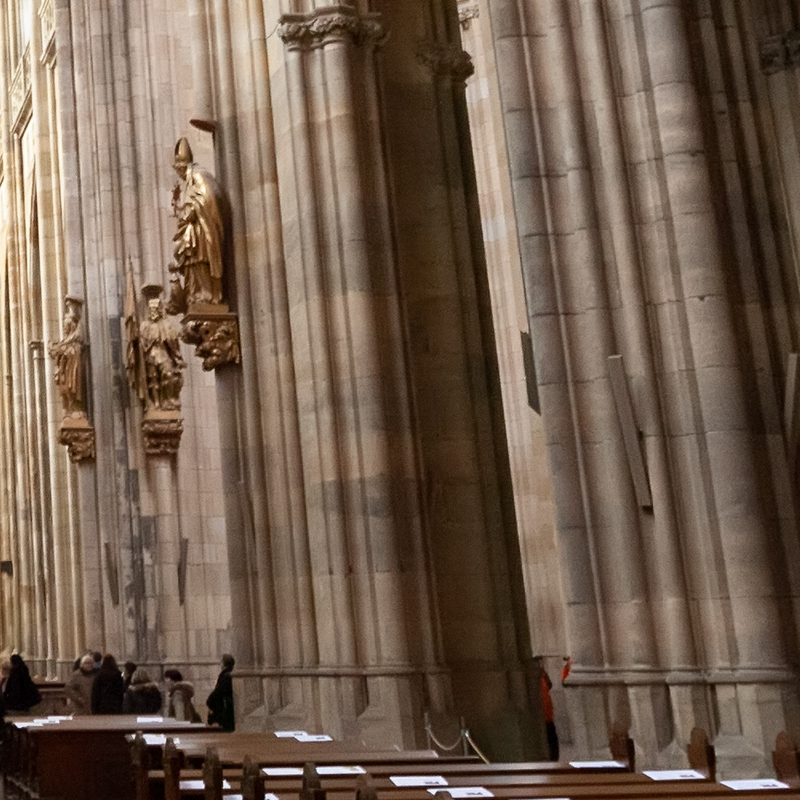 Quoting from Topaz, it uses machine learning to help you recover shadows/highlights, expand color depth, remove JPEG compression artifacts, save results as DNG or TIFF files. I got to try the pre-access version, and since the full one goes on sale today, I will share with you some of my though about it. Topaz JPEG to RAW AI has a very simple interface. 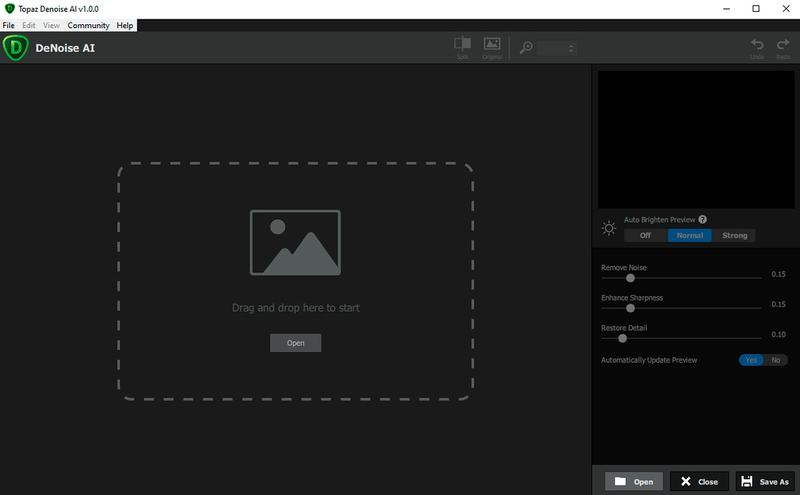 You could call it a image converter, as that’s all it provides. It converts your JPEG into a RAW. You can only choose the input file, choose how strong the noise and blur reduction is and then the output path. You can then choose you output format, being either DNG or TIFF. In the first version I got, I was not able to open the DNG results in Camera raw or Lightroom, but there was an update since then and now both results work fine. So all you need to do here, is to load the file and save the result. It take up to a minute to create it, based on the photo used. I did not take a JPEG photo in a very long time. So to try this out, I vent back into my photo library, and I chosen few photos from my photography beginnings. First impression is, that it cleans up the chromatic aberrations very well. It also added a lot of clarity and sharpness to the photo. In the zoomed image you can see it quite noticeably on the buildings decorations. But lets open the shadows, and let’s see what effect it will have there. I put shadows to +100 and added one stop of exposure to both version in Lightroom. I especially like how clear the sign looks in the DNG version. While the overall brightness in the DNG did not change, the photo is much cleaner, sharper, the clarity is much better. Overall is much crisper than the JPG. I tried to match the result I got using Lightroom, but no luck. Each time I bumped the noise reduction, I would get a blury mess, not a nice crisp result as I got from the Topaz JPEG to RAW AI. Let’s look at two more photos. The results are quite the same. The boost in clarity and sharpens is quite high (maybe even too much on the nature photo), but I have not noticed much of dynamic range expansion. If you want to check it out for yourself, here are the original JPGs and the TIFF and DNG conversions for download. 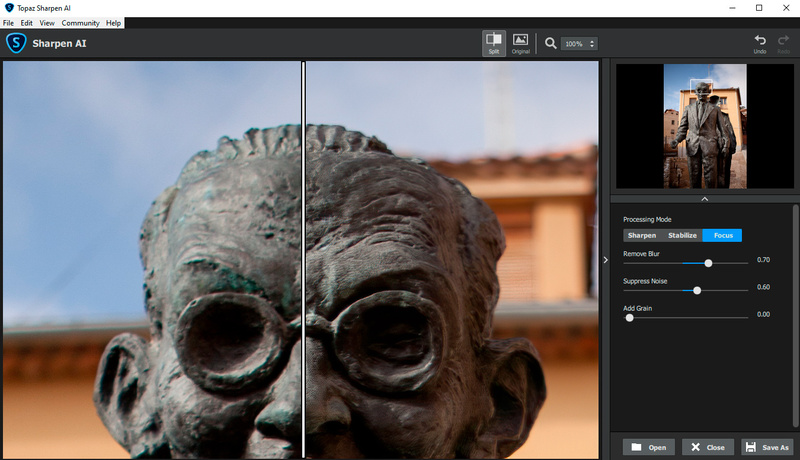 Overall, Topaz JPEG to RAW AI can give quite an impressive result. Will probably never use it on one of my newer photos, but if I need to enhance and older one, or a mobile photo, I give it a try. Also in times when I need to edit a photo for a client, and they only have a JPG, this can come in handy. If I’m not mistaken, there should be a trial available, so head over to Topaz Labs website to give it a try.